Blakes Of Dover - Bed And Breakfast Bed And Breakfast 52 Castle Street, Dover CT16 1PJ. 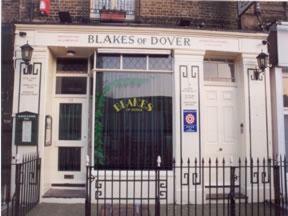 Blakes Of Dover - Bed And Breakfast, 52 Castle Street, Dover CT16 1PJ. Blakes of Dover is quite unique as a non-smoking ale and wine bar with superior accommodation, less than 5 minutes from ferry and cruise terminals. Trains, buses, the A20 and A2 trunk routes are all within 800 metres. Blakes of Dover offers beautiful en suite rooms (including superior options), sleeping 2 to 4 guests. Well equipped rooms include televisions and complimentary trays. It has been awarded a 4-star rating by Visit Britain - Quality in Tourism. Blakes of Dover has a wonderful bar, providing a delightful place for eating and drinking. Their real ale range has now been extended to include micro brewery ales. Blakes of Dover is listed in the Good Beer Guide, the Good Cider Guide and the Good Pub Food Guide. In March 2006 it was voted District Pub of the Year by the Campaign for Real Ale. 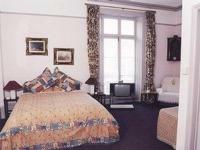 Hotels in Dover: Blakes Of Dover - Bed And Breakfast, 52 Castle Street, Dover CT16 1PJ.